As a mark of disagreement with the exorbitant tax rates under the much-awaited Goods and Services Tax (GST) Bill to be rolled out on July 1, hotels and restaurants across Tamil Nadu will observe a one-day shutdown on May 30. 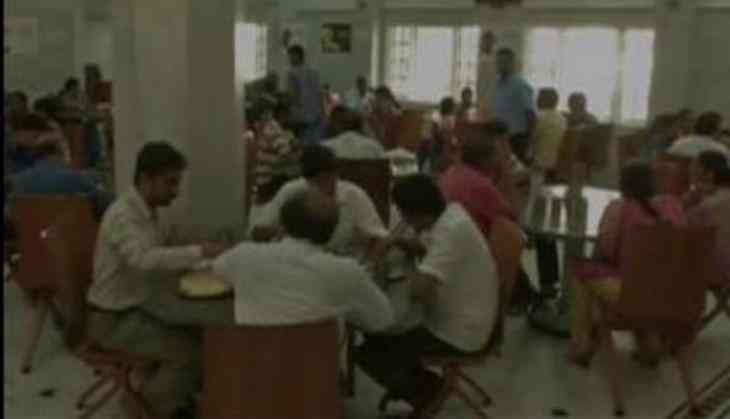 According to the Tamil Nadu Hotels' Association, over two lakh restaurants will be participating in the protest, including 1,500 bakeries, 400 restaurants and 300 small eateries in and around Coimbatore. Furthermore, the strike is also being backed by similar associations in Kerala and Pondicherry. Addressing the issue at a press conference on Thursday, Coimbatore Hotel Owners Association President D. Srinivasan asserted that the proposed rates of 12 percent and 18 percent tax for non-air-conditioned and air-conditioned restaurants respectively under the new tax regime were "too high" and could discourage patrons from eating out, thus curtailing their profits. The hotel owners will once again put forth their demand for a five percent slab to be maintained in the forthcoming GST review meeting slated to take place on June 3 in New Delhi. With the new tax regime in place, Srinivasan believes that as the cost of food goes up, the common man will be worst hit. Also, with eateries up to an annual turnover of Rs. 20 lakh being the only ones exempted from the GST, the overall cost of even the most basic items like tea and coffee are projected to go up, added Srinivasan. In a meeting held early last week, Union Finance Minister Arun Jaitley said the implementation of GST will enable a more consumer-friendly taxation system, which will exempt daily-use commodities from the levy. With regards to restaurants, Jaitley asserted that those with a turnover of 50 lakhs or below can go over with a composition of five percent, while service tax on non-air-conditioned restaurants will be 12 percent, and that on air-conditioned and liquor license will be 18 percent. Currently, some states levy Value Added Tax ( VAT) on them. Daily-use items like sugar, tea, coffee (barring instant coffee), edible oil and life-saving drugs will attract the lowest tax rate of five percent, almost the same as current incidence. Hailed as a 'revolutionary' tax regime, the GST is said to be India's biggest tax overhaul since independence in 1947. It will replace a slew of federal and state levies, transforming Asia's third largest economy into a single market.